The neighborhood of Del Monte Park in Pacific Grove is bordered by Congress Road to the West, Forest Hill Boulevard to the East, Forest Lodge Road to the North and Forest Avenue to the South. The neighborhood is quiet and comprised of single family homes that offer affordability and value as well as some ocean views. In addition, the gated Condominium complex of The Glen provides a wonderful option for townhome living. The complex has its own lake, lush landscaping and is located on Ransford and Glen Lake Drive, within minutes of Pebble Beach. Units have fireplaces, double garages and tennis courts. Residents are also part of the desirable Pacific Grove Unified School District. Homes in the northern section of the neighborhood back up to the greenery of the Rip Van Winkle Open Space Park. The terrain here is rugged and heavily forested with Monterey Pines, Oaks and Cypress trees and is used by dog walkers, hikers and joggers and also features a small picnic area. This 20 acre piece of parkland also allows access to 17 Mile Drive as it borders Pebble Beach. The neighborhood park is also home to Arnett Park offering more accessible options for recreation and relaxation. Click here to view all available homes for sale in the Del Monte Park neighborhood. 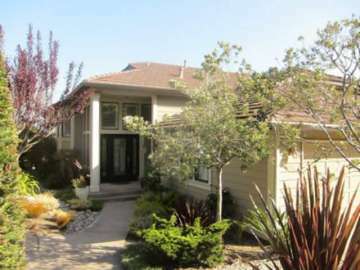 For all available Pacific Grove real estate, click here. 33 homes sold in this neighborhood in 2018. The most expensive home to sell sold for 1.101 million for a 3 bedroom, 2.5 bathroom, contemporary-style home with 2,155 SqFt of living space and Ocean views. The least expensive home to sell was a bank owned home with 2 bedrooms, 2 bathrooms with 1,280 SqFt of living space on a 4,500 SqFt lot and sold for 451K. 36 homes sold in this neighborhood in 2017. The most expensive home to sell was a 4 bedroom, 2 bathroom home that was redone from the studs with 1,902 SqFt of living space on a 8,000 SqFt lot to 478,500 for a 1 bedroom, 1 bathroom fixer with 533 SqFt of living space on a 4,500 SqFt lot. 27 homes sold in this neighborhood in 2016. The most expensive home sold for 1 million for a 4 bedroom, 2 bathroom 1,902 SqFt home that was remodeled down to the studs with peak views of the bay. The least expensive home sold for 478,500 for a 1 bedroom, 1 bathroom, 533 SqFt home with potential for expansion on a 4500 Sqft lot. 30 homes sold in 2015 in this neighborhood. The most expensive home sold for 900K for a 3 bedroom, 2.5 bathroom newly constructed, contemporary 2,068 SqFt home on a 4,500 SqFt lot. The least expensive home sold for 450K for a 2 bedroom, 1 bathroom, 624 SqFt Pacific Grove cottage on a 6,738 SqFt lot. In 2014, 28 homes sold in this neighborhood. The most expensive home sold for 925K for a 4 bedroom, 3.5 bathroom home with 2,323 SqFt of living space on a 5,360 SqFt lot. The least expensive home sold was a 560 SqFt single bedroom doll house on 4,500 SqFt of land, which sold for 353K. In 2013, there were 32 homes sold in the neighborhood. The most expensive was a 2,552 SqFt ocean view home on a 4,500 SqFt lot, which sold for 845K while the least expensive was a 632 SqFt cottage, which sold for 265K. There were 42 home sales in the Del Monte Park neighborhood in 2012, the most expensive home selling for 840K. This newly constructed home on David Avenue had 4 bedrooms, 3+ bathrooms and 2,070 SqFt of living space on a lot size of 4,703 SqFt. The least expensive home sold for 280K and was a 3 bedroom, 1 bathroom home with 1,008 SqFt of living space on a 4,482 SqFt lot. This probate sale property was sold for basically lot value as it was in very poor condition. For a detailed analysis of Pacific Grove real estate sales, check out our monthly Community Market Reports. Living in Del Monte Park is a centrally located, convenient location to own a home. You have immediate access to Hwy 68 to take you to Monterey and Carmel and possess the closest Pacific Grove neighborhood proximity to Pebble Beach. There are a number of shopping and dining establishments along Forest Avenue including a Safeway and Trader Joes that are within walking distance for your everyday essentials. You are also a 2 minute drive or third of a mile walk to Country Club Shopping Center for your banking, grocery, pharmacy, dry-cleaning and pet supply needs. For recreation you are in a great location to explore the pristine coastline along 17 Mile Drive. Cyclists, joggers, and walkers will enjoy the coastal trails where you can check out The Restless Sea, China Rock and picnic at Spanish Bay. If you are a golfer, you can play Pacific Grove Municipal Golf Links which has affordable fees and extraordinary views, or play one of the many famous Pebble Beach golf courses, a coveted experience for any golfer or fan. Downtown Pacific Grove is also a wonderful place to spend time, window shopping along Lighthouse Avenue, dining at a café or checking out the Victorian homes and historic architecture. You will treasure your home in “America’s Last Hometown” and enjoy living a casual, relaxed lifestyle in this charming coastal town.